What is LOVE, Dr. Cookerly? : Ready or Not for Love? Explore the following ‘willingness’ issues and you are likely to help yourself be ‘more ready’. You also may get in touch with the areas of love- readiness you might do well to understand more, need to strengthen, and the areas in which you are most love-able and love-potent. Which willingness areas can you say “Yes” to, which ones elicit a “Maybe”, and which ones get your “No” or “Probably not yet” response? 1. Willingness to do the work of learning to love well? 2. Willingness to do the work of practicing loving well? 3. Willingness to do the work of unlearning unloving, negative thoughts and feeling systems and the negative behaviors that go with them? 4. Willingness to risk (to let fear and safety NOT be primary)? 5. Willingness to love yourself healthfully? 6. 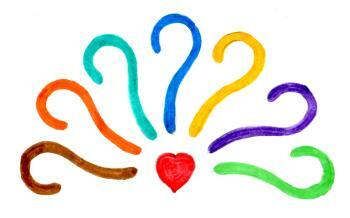 Willingness to live love-centered (NOT money-centered, status-centered, power-centered, etc.)? 7. Willingness to explore and experiment with new ways? 8. Willingness to be open to both getting and giving love? 9. Willingness to choose and use the power of love over all other forms of power? 10. Willingness to be transformed by love (because that’s what happens) into an ever growing, better self? 11. Willingness to work at using real love to help heal others, and to use real love to heal you of old wounds and the negative thoughts, feelings, and behavior systems those wounds empower? 12. Willingness to let love deeply connect you with others, life, nature, spirituality, and other love forces in the universe? Add up your “Yes” responses, your “Maybe” responses, and your “No & Probably Not Yet” responses. If you have mostly “Yes” responses you probably are well on your way to ‘readiness’ and enriched living through love. 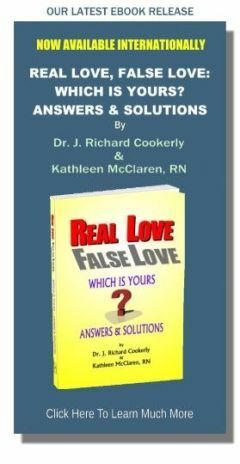 Mostly “Maybe” answers suggest you could use some work on your love readiness and it is advisable to proceed carefully in love matters. Mostly “No & Probably Not” responses suggest that before you enter your next great love adventure you may want to emotionally strengthen yourself, look much further into understanding the dynamics of healthy real love and how to avoid love trauma and tragedy. Please know this is not a definitive test just a little guide for examining your possible love readiness. It also can be used by couples, or friends and family, and others to help each other look a bit deeper into the area of love readiness.